Blogging is conspicuous by its absence. I plead end-of-term disasters, combined with the long dark tea-time of the soul. But I do see some possibility of returning to civil conversation, probably after my next two talks, both in the LA area tonight (LA County Library downtown) and tomorrow (the OC — at the National Academy facility at UC Irvine), so please consider this a hiatus rather than a quietus. And in the meantime, for your viewing pleasure, those clips that inspire this title. I’ve been conspicuous by my absence, caused more by the disasters that attend a newly installed department head in the first days of term. I’ll be pretty sketchy in my posts here for a bit, trapped between that admin cr*p, the rigors of getting my upcoming book properly launched, and attending to the birth of yet another Darwin project. So by way of eye candy and apologies — enjoy this gorgeous vision of the apocalypse. (Full page of Redoubt Volcano images from teh Alaska Volcano Observatory here. 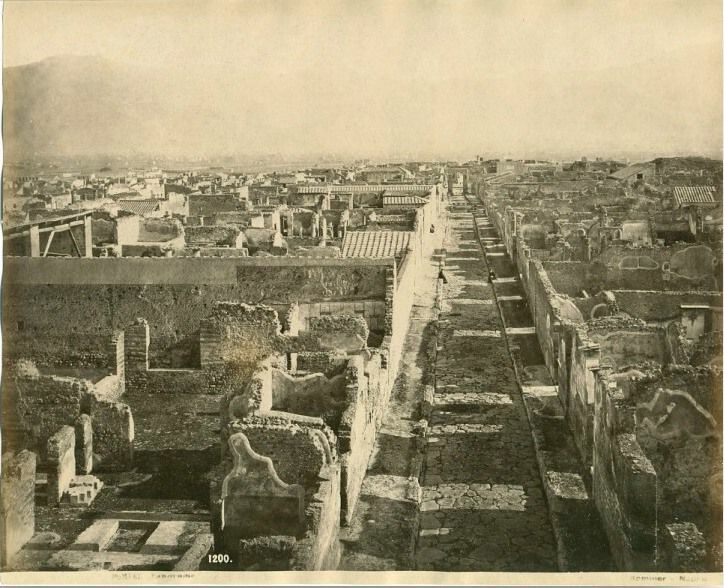 Image: Giorgio Sommer, “Pompeii,” before 1914.